There’s something incredibly satisfying about flying past a race track in an airplane and actually being able to sneak a picture. But I think astronaut Drew Feustel just one-upped all of us. Feustel, a Purdue alum, is a gearhead at heart, and it shows. He’s wished the series luck with plenty of photos from outer space and has even had a few conversations with drivers like James Hinchcliffe from his space station. This isn’t Feustel’s first rodeo. This is his third trip to space, and he’s currently serving as Flight Engineer for NASA’s Expedition 55. According to an IndyStar interview, his job is to maintain the International Space Station and study “Earth atmospherics, the effects of microgravity on bone marrow, materials’ responses to space environments, and biological samples’ responses to simulated gravity”. Y’know, the easy stuff. 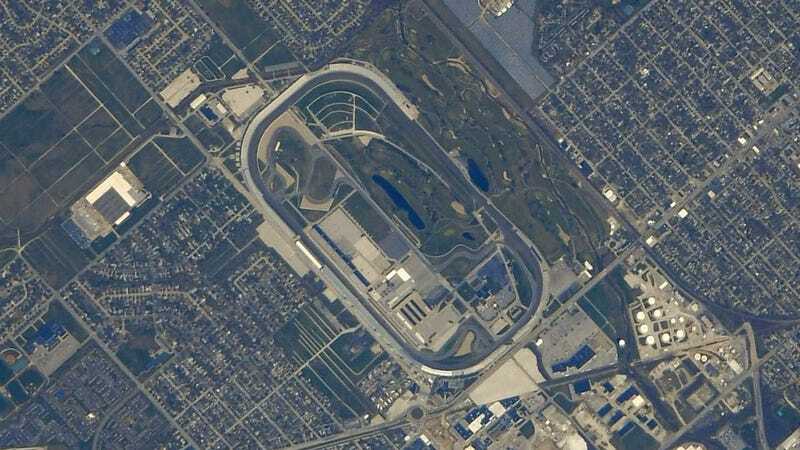 He plans to keep racing fans updated by taking a shot of each IndyCar, MotoGP, and Formula One track this season, so make sure you check his Twitter on race weekends for more updates. Hopefully schedules might line up perfectly so that we can see what a race looks like in action from miles and miles above ground. But I definitely can’t complain about getting an incredible shot like this one in the meantime.